If you have been asked to give a speech at an upcoming wedding, don’t stress! We know it can be nerve-wracking to speak to a crowd, but it’s an honor to stand up in front of the people your friends love most and toast the beginning of the newlyweds’ life together. To help you give an unforgettable speech without sweating profusely or passing out, we’ve put together a list of must-read tips. 1 Prepare your speech in advance. You don’t have to write out a toast word for word, but do make note of the anecdotes you want to share and the sentiments you’d like to convey. Be sure you speak fondly of both of the newlyweds, not just one or the other. And don’t forget to practice, practice, practice! 2 Don’t drink until after your speech. Trust us! We’ve been to enough weddings to know that a drunken speech from a friend or family member is not cute or funny. It ismemorable, but not the kind of memory you want to make. Skip the bar until you’ve shared your heartwarming speech, then go ahead and let loose. 3 Remember this is a toast, not a roast. There’s nothing worse than a college roommate getting up in front of the couple’s parents and reminiscing about the first time the newlyweds met and got wasted playing beer pong. Share your favorite memories of the couple, and your wishes for their long and happy marriage — then clear the floor. 4 Don’t force the funny. If you’re not a natural comedian, don’t feel the need to make people laugh during your wedding toast. Sweet stories and real emotion will be far more memorable for the couple than awkward anecdotes that fall flat. 5 Keep it short and sweet. The ideal toast is about three minutes long — yes, that’s it. Three short minutes. Even if you don’t get a time limit from the couple, keep your toast clear, quick and to-the-point. Practice your speech out loud before the wedding and time yourself, remembering to breathe and slow down. 6 Double check your equipment before the toasts begin. There’s nothing worse than loud feedback or awkward stumbling at the front of the room when the toasts begin. Ask the venue’s A/V manager if the mic is set to go before you start your speech. 7 Put something bubbly in your glass. 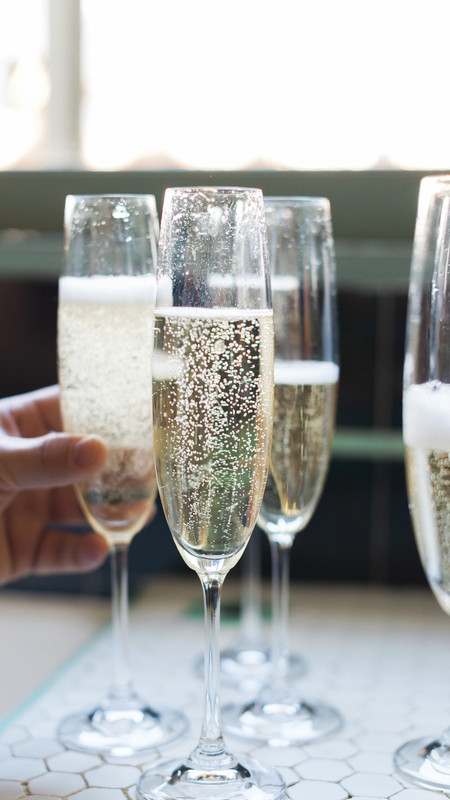 You’re toasting the couple, so you’ll want some champagne (or sparkling cider!) in your glass to raise at the close of your speech. 8 Skip the inside jokes, and while you’re at it, skip the exes. While you probably have plenty of inside jokes with your BFF from years of traveling, living, or working together, most of the newlyweds’ guests won’t understand what you mean when you say, “The road trip we shall not speak of.” Skip the inside jokes — and your friends’ exes! — to avoid alienating anyone at the wedding or giving a toast that doesn’t resonate. 9 Have a closing quote, sentiment or thought prepared and rehearsed. To wrap up your toast with a strong closer, be sure you prepare it in advance. Know what you want to say as you raise your glass to toast the newlyweds and close out your speech gracefully. Get more wedding advice on Loverly!